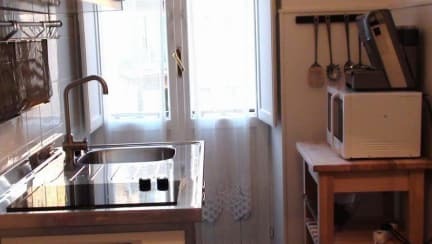 For the location of the house you can easily reach all important places (subway Ottaviano /St.Peters and bus 100 meters) of the city, Castel Sant'Angelo, Piazza Navona, Spanish Steps, Pantheon and Trevi Fountain. Apartment consists of 2 double bedrooms, well furnished, to use even triple or quadruple, both have air-condition and TV.LCD. Fully equipped kitchen with refrigerator, stove, microwave, dishes, table . Breakfast is not included. Available for 3 euros. For extra towels and linen and for cleaning during the stay extra fee of 10 euros. Additional price per person: 20 euros. We accept cash or Credit Card payments on arrival. Check in: 11:00 / 24:00, after 22:00 you need to pay an extra fee.